The presence of Asian students at US universities is increasing in pace and it is not going unnoticed. There have been several articles dealing with the cap on the number of Asian American students at top US schools and the difficulties they face getting into certain schools. On the opposite side of the spectrum, many schools with a high number of Asian American students continue to help this population strive in their academic endeavors. An article in the now out-of-print “A. Magazine” highlighted a survey made among its readership who voted for the best schools for Asian Americans. The top six schools are featured in this Wednesday’s infographic. Do you think this ranking still holds true? 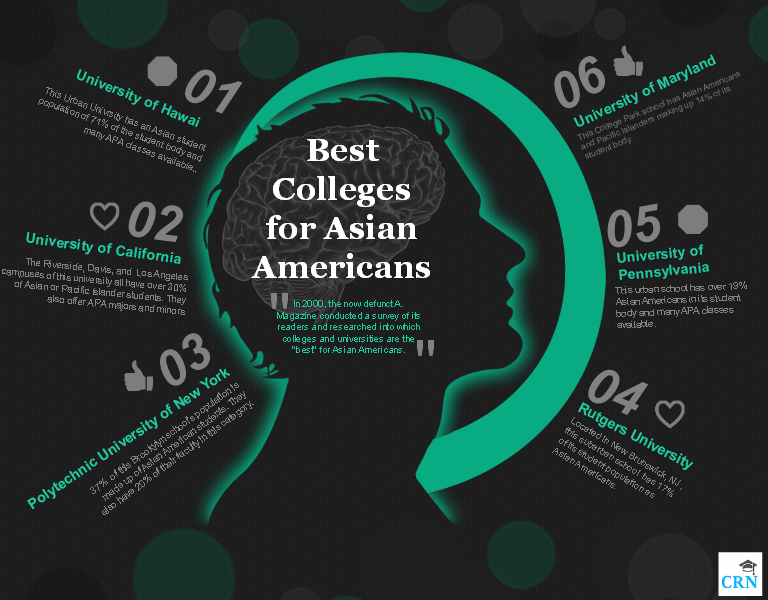 Which university do you think is the best for Asian Americans in you experience? Let us know in the comment section below!